Recently declassified top secret documents prove that the Central Intelligence Agency was so instrumental in the assassination of Rafael Trujillo, the strongman who ruled the Dominican Republic with an iron fist for more than three decades, that they not only furnished the weapons used in the plot, but also invited some of the conspirators to US soil, where they received training and guidance. Despite more than five decades having elapsed since The Goat, as Trujillo was known for his promiscuity, being gunned down while he sped down a highway to visit one of his mistresses, the CIA keeps the name of the conspirators who visited US soil a tightly-guarded secret, and recent revelations indicate just how prudent this is on the part of US intelligence. After Trujillo's assassination, his son Ramfis took command of the country and began systematically and brutally eliminating anyone who had taken part in the plot against his father. Less than a decade after Trujillo's assassination, only two of the conspirators survived, but they had been made generals for their tyrannicide, thus making any attempts to kill them somewhat difficult ordeals. General Imbert Barrera, the last surviving conspirator, who died just weeks ago, was wounded in 1967 after his car was hit with heavy machine gun fire. 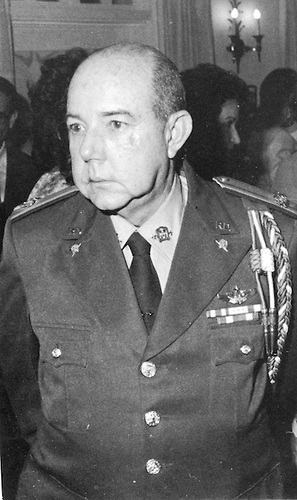 After the failed assassination attempt in '67, touching General Imbert Barrera became a much more difficult ordeal, and this meant that only his family could be targeted by those loyal to the former regime. In 1970, the Dominican Republic was rocked by the worst tragedy in its history up to that point, as 102 souls perished after a DC-9 jet from the now-defunct Compañìa Dominicana de Aviaciòn exploded over shark infested waters, taking with it the wife, aunt, and daughter of General Imbert Barrera. According to Acento, pieces recovered from the plane accident show signs of crushing and compression, as would be consistent with an explosion. Although suspicion for the terror attack fell primarily on former members of the Trujillo regime, there was also speculation that the CIA itself was responsible for the attack, as it needed to keep General Imbert Barrera quiet regarding the full extent of its involvement in the assassination of the dictator, so as not to damage Dominican-American relations and potentially drawing the island closer to the Soviet Union. Would Dominican Trujillistas kill 100-plus innocent Dominicans just to target three people related to their enemy? The Trujillistas were savagely brutal, but their expertise was kidnapping, torture, and machete-wielding; plane bombs have historically been the purview of large intelligence agencies, and thus history may never say whether it was the Trujillistas or the CIA who took down a jetliner with 102 people onboard.